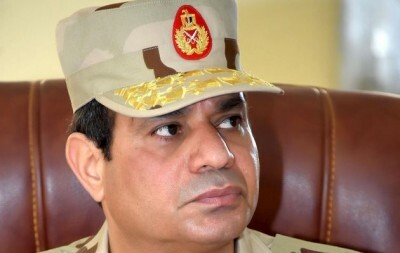 On Sunday, the Egyptian military ruler Abdel Fattah al-Sisi introduced draconian “anti-terrorism” legislation by decree, further strengthening the repressive apparatus of one of the most bloody dictatorships in the world. * Article 1 defines “terrorism” so broadly that it can be used against everything and everyone. Paragraph 7 defines a “terrorist act” as “the use of force, violence, threats, fear” undertaken with the aim of “disturbing public order”,”harming national unity”, “damaging the environment, natural resources, monuments, public and private entities”, “obstructing the work of public institutions, local councils, diplomatic missions, and places of worship from carrying out their work whether wholly or partially” or “impeding the application of the provisions of the constitution and the laws.” It includes “any conduct … which leads to harm to the national economy”. * Article 6 states that police officers and soldiers will go unpunished if they use force “in the performance of their duties” and to enforce the law. * Article 26 states that anyone who spreads “terrorism” orally or in writing or “by any other means” can face a prison term of between five and seven years. * For the formation and management of a “terrorist group”, the law provides for life imprisonment or the death penalty. Membership can be punished with up to ten years in prison. * Under Article 33, journalists whose reporting differs from the official account of a terrorist attack face a fine of at least 200,000 Egyptian pounds (about 22,900 euros) as punishment. The maximum fine is 500,000 pounds (about 57,000 euros). * Articles 38-41 considerably extend the powers of the judiciary and police. Under Article 38, persons can be arbitrarily arrested without charge or a court order. Article 39 limits the right of detainees to contact their families or a lawyer. Article 41 allows the law enforcement authorities to continually extend the detention of “terror suspects” without a court order. * Article 48 provides for the establishment of special courts to implement the provisions of the law. * Article 50 stipulates that the accused may be sentenced in absentia. * Articles 51 and 52 sharply curtail the ability of “terror suspects” to appeal their convictions. * Article 54 grants broad powers to the president to “take necessary measures to ensure public order and security whenever there is danger of terrorist crimes”. The president has the power to “isolate areas or evacuate them or impose a curfew to maintain public order and security”. No limits are placed on these quasi-dictatorial powers of the president. The Egyptian regime is cynically trying to sell the new law as a response to the allegedly erroneous reporting of Islamist terrorist attacks in the country. For example, the Minister of Justice Ahmed al-Zind said the provisions were a response to reports about the recent series of attacks in the Sinai peninsula, where the Egyptian security forces greatly exaggerated the number of victims. The media reports were “bad for the morale” of the country, Zind said. The government therefore had no choice but to introduce the new rules. In reality, it is clear that al-Sisi wants to criminalize any opposition to his rule, while providing a pseudo-legal foundation for the methods on which his brutal dictatorship is based. Since the military coup against Muslim Brotherhood President Mohamed Mursi engineered by al-Sisi in July 2013, the Egyptian security forces have killed thousands of regime opponents, arrested tens of thousands and sentenced more than a thousand political prisoners to death in expedited proceedings. In sum: Anyone in Egypt who dares even to criticize the regime can now “legally” expect to be imprisoned for life or even sentenced to death. Despite this, the European governments and the US, who regularly play the “human rights card” to criticize unpopular regimes and to justify their imperialist depredations, have been largely silent about the new anti-terrorism law. This silence is explained by three basic factors. First, they support al-Sisi’s regime of terror as a bulwark against a possible renewed uprising by the Egyptian workers. Second, they compete for the dictator’s favour, with the aim of defending their economic and geostrategic interests in the region. Third, the Western “democracies” themselves are increasingly turning to al-Sisi’s methods to suppress the growing domestic resistance to their unpopular policies of austerity and war.